Sir, if you view our link or screen shot you can able to understand what want to tell. 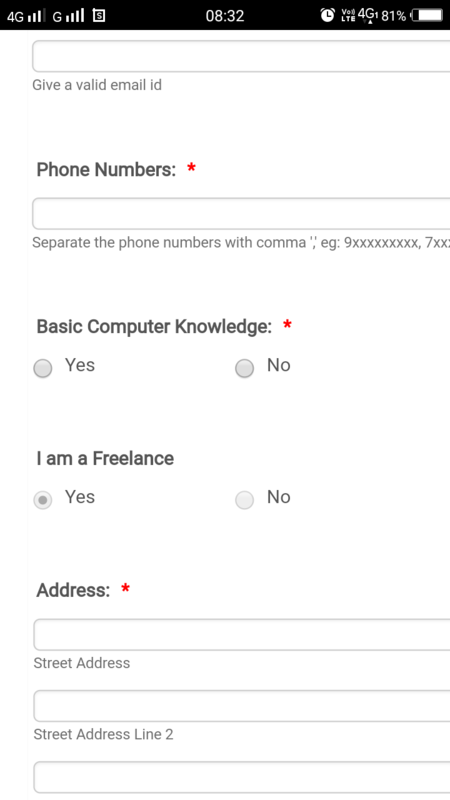 If in our form we ask about basic computer knowledge and options are Yes/No. If he selects no then the form should not submit. Because the person who doesn't have basic computer knowledge we don't want to hire him. Please solve this problem. 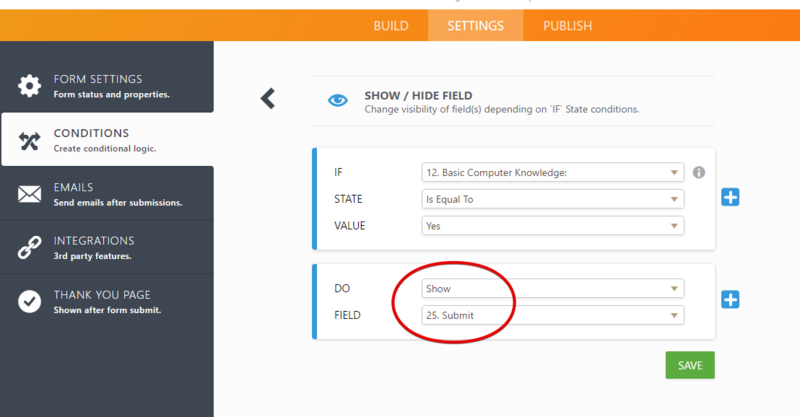 You can use Condition feature to Show/Hide the Submit button on the form if answer is NO. Thank you for you suggestion sir, I will try this and let you know whether it works for me or not.